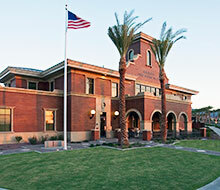 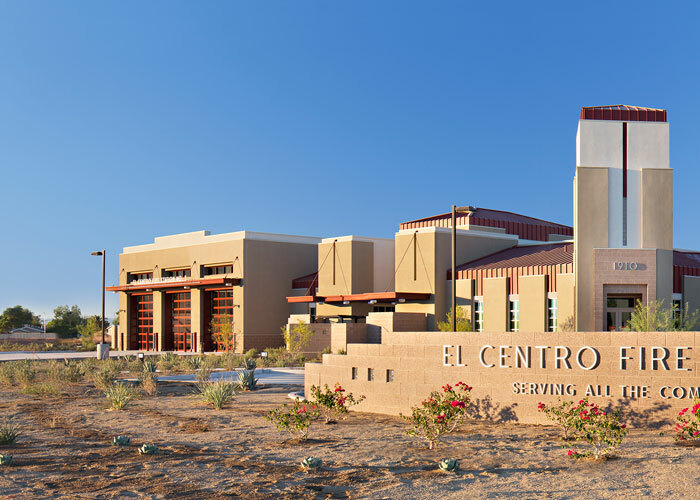 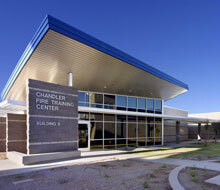 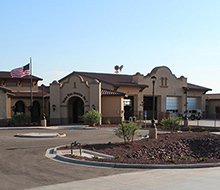 El Centro Fire Station No. 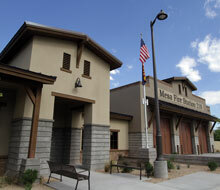 3 is an 18,600 s.f. 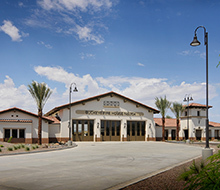 station located in Imperial County California. 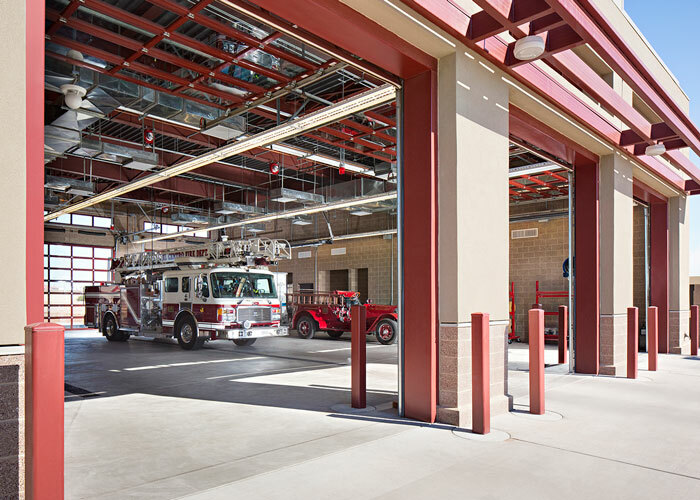 The station has an administration component in addition to the fire house and appartus bays. 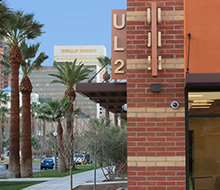 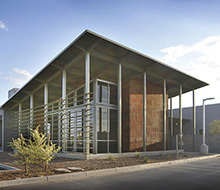 As a result, there are various entry points that are all accented by architectural steel elements as wayfinding and orientation design elements. 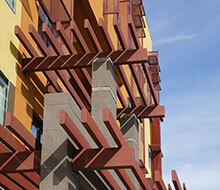 These canopies also provide shade and protection while accentuating the Art Deco incluence. 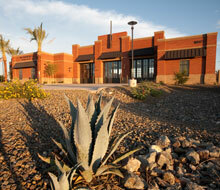 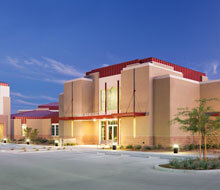 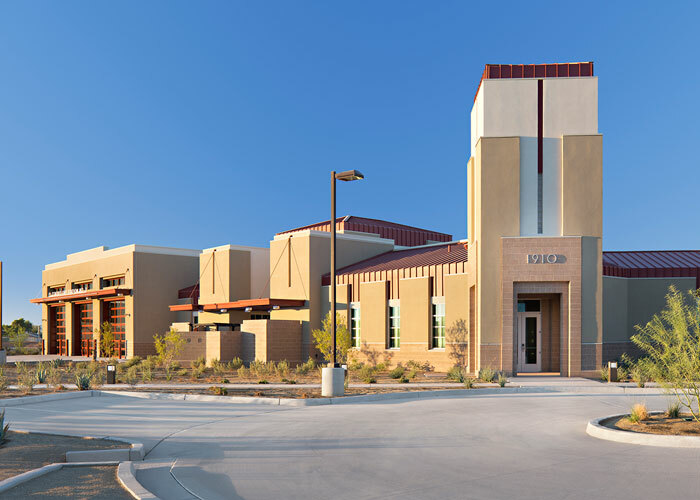 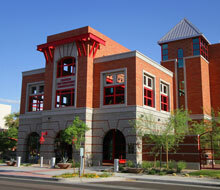 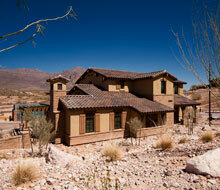 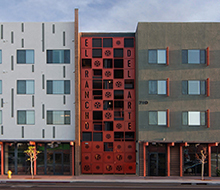 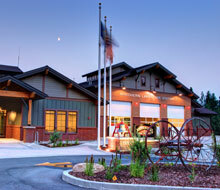 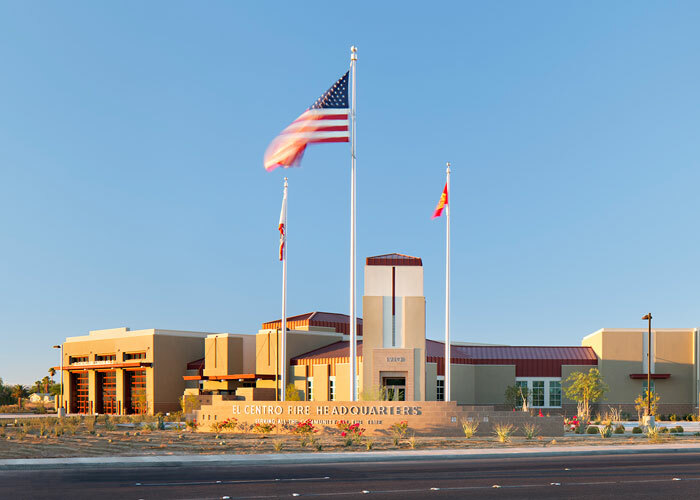 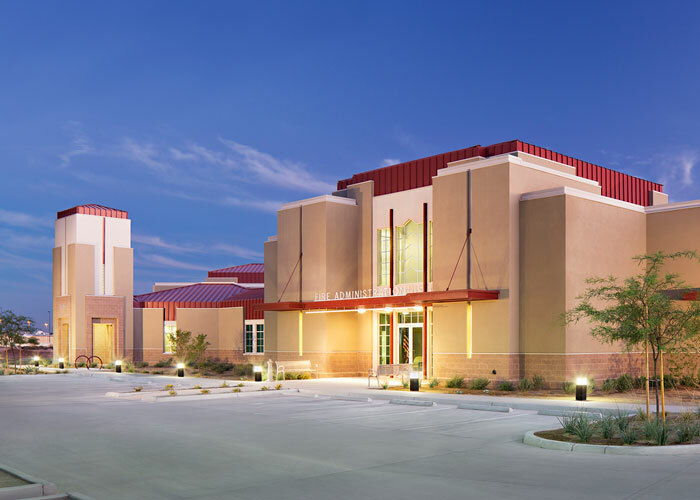 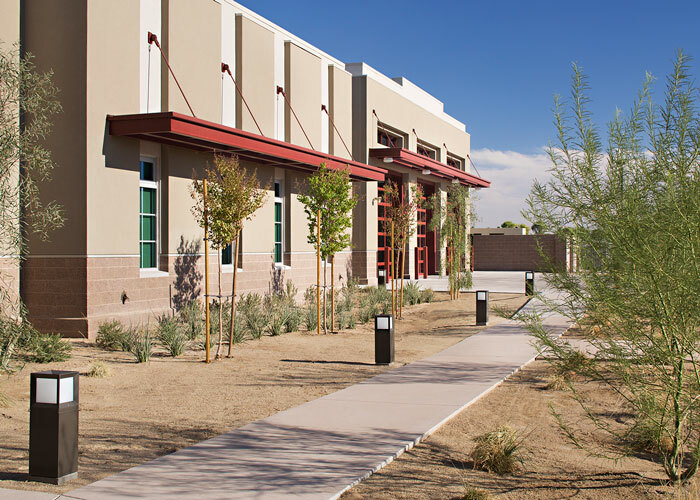 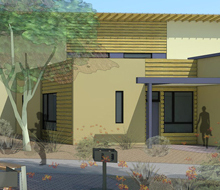 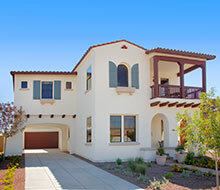 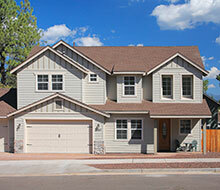 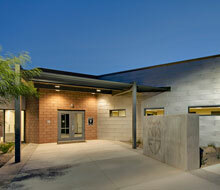 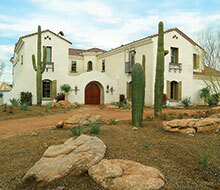 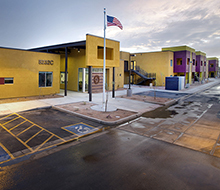 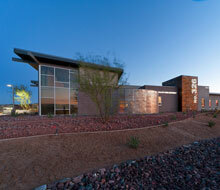 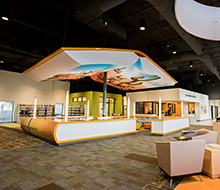 To add to the overall aesthetic, the building is finished in stucco with warm colors and a standing seam metal roof. 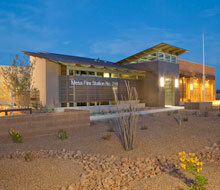 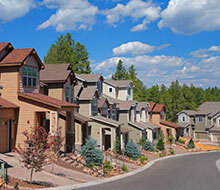 The project is sited in a manner that maximizes the use of a limited site, which tapers into a future park area. 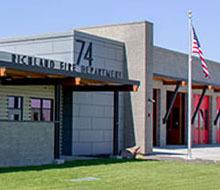 The apparatus bays are flanked by a training tower for ladder rescue and technical training. 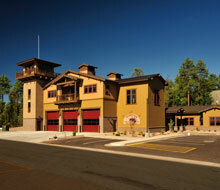 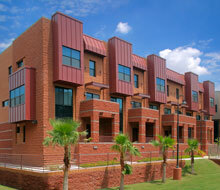 There are 8 dorms, living and office spaces in the fire station component.